S.V. 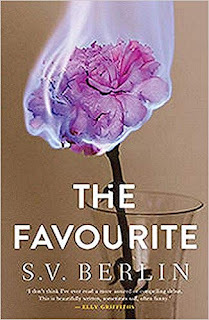 Berlin is the author of the new novel The Favourite. She has worked as a copywriter, speechwriter, facilitator, and wilderness search-and-rescue professional. Born and raised in London, she lives in New York City. Q: How did you come up with the idea for The Favourite, and for your three main characters, siblings Isobel and Edward and Edward's girlfriend Julie? A: Anyone who’s been through the death of a parent – the process of sorting through their belongings, of packing up an entire life into garbage bags and cardboard boxes ­– knows that it puts you on the other side of something. I wanted to explore this experience from the points of view of three different people, each invested in the situation in their own way. You get to see the aftermath play out with all its messiness, family secrets, power struggles, and people behaving badly. Q: You've written, "Despite all my years in America, I find it impossible to maintain an entirely po-faced approach to misery." The book deals with various difficult or sad situations, but you inject humor into them. What do you see as the right balance? A: Certainly, if you’re speaking about an experience that is your own (or your character’s own) that’s a decision only you can make. I admire anyone who, in the midst of tragedy, can maintain a sense of the absurd. The British don’t cope well with overtly emotional displays. Faced with personal misfortune they take refuge in dark humo(u)r. ‘You have to laugh…’ thinks Edward at his own mother’s funeral. To Americans this looks unbelievably callous. If you’re British, it’s a perfectly reasonable response. Q: The book shifts among the perspectives of Isobel, Edward, and Julie. Did you write the novel in the order in which it appears, or did you focus more on one character and then turn to another? A: I have an active and ongoing fantasy of being the kind of writer who maps out their whole book using Post-It notes and bits of string. You can imagine how that’s working out. I tend to hop around non-sequentially and non-chronologically, filling in pieces of the story as they come to me (often in the middle of the night). I had in my head the first chapter – the sudden death of Edward and Isobel’s mother, and Julie’s fear that she may have had something to do with this death. And I had a pretty good idea of what would happen to each by the end of the novel. In the writing, my characters ran neck and neck, no one progressing faster than another. Writing one of them into a situation, I always had half an eye on that same situation from the point of view of the other two. 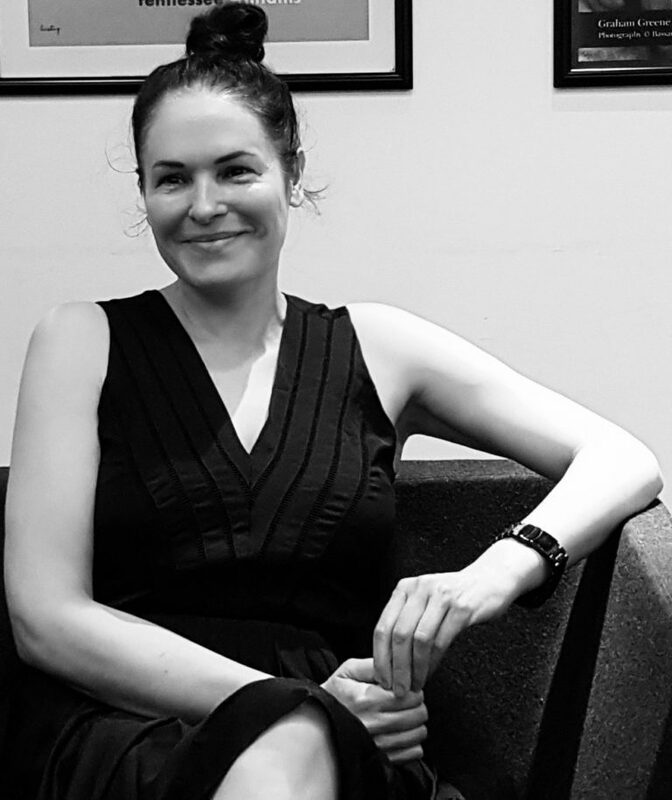 Q: You were born and raised in London and later moved to Manhattan, and your characters Isobel – who leaves England for New York – and her brother Edward reflect on the differences in sensibilities between the two places. What do you see as some of the key differences, and similarities, between British and American culture? A: Where to start?! Shaw’s idea that England and America are two countries separated by a common language rings true, even now. To pick one, American say what they mean, the Brits not so much. American friends complain of a deep sense of reticence among the latter. Of hidden social codes to which they’re not privy, or don’t see the need for. Brits find Americans quite direct. Still, when Americans hear the way we British communicate – the caustic banter and aggressive teasing – understandably they can feel quite confused. In the novel we learn that, like all good New Yorkers, Isobel went along to therapy at some point. She is now convinced that good relationships depend on talking about everything. Naturally her brother Edward thinks the opposite. He also takes a dim view of pretty much everything he sees as American, including Isobel herself. In a way, it’s poetic justice that his girlfriend Julie falls under the spell of a not-very-scientific American self-help book called Pathways to Possible. As a woman who’s not always been treated well, she feels quite powerless over her life and bullied by the people closest to her. In its relentlessly sunshine-y way Pathways to Possible is culturally very different to what she is used to. Underneath, it is actually quite dark. In taking its lessons to heart, she unleashes a whole series of unfortunate events that I had great fun writing. One other (very important) difference: British dogs are allowed to ride on buses and trains. 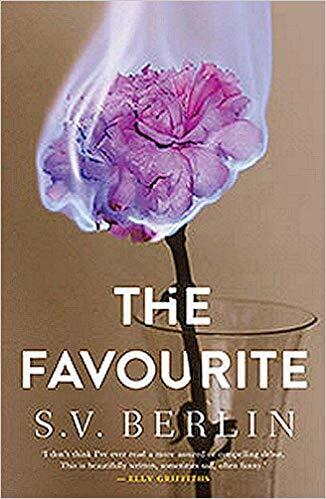 A: A psychological thriller set in New York. A: Thank you so much for having me and for asking such thought-provoking questions!